General feedback for the new theme. off the bat these fonts look atrocious and the color blocking is wild, just drop the blue out and give a light theme and dark theme. EDIT (again): If it ain't broke, don't fix it. Sorry if I have to change my original feedback. But yeah, it's just disproportionately big. While I appreciate the move to upgrade, this isn't what everyone had in mind. Sorry. Edited May 30, 2018 by M.K.N. Don't think the "GTAFORUMS" font works at all, neither does the subtitle. Site layout gives the impression of being zoomed in 200%- if you want to do this, fine, but like reddit offer three different sorts of layouts which should solve this issue. Can you allow us to change this profile banner, or have it removed? Also, I think my avatar appears stretched on the profile page. EDIT #2: Please let us hide this, or atleast consider that the black doesn't jam well with the other blue forum sections. I've had to spoiler this (now outdated) criticism because I can't delete the images at all. I'm on mobile and it looks great. It's very flat and bland, I mean congrats if you were chasing the "minimalist" design that every other company thinks is a good look. This new layout is terrible! Gotta switch back to the old or at least a better forum software or I guarantee you guys are going to loose a lot of members over this. I like it, it needs some getting used to but it definitely looks good. My only complaint about the whole update is that everything feels so stretched out and just too wide, even with the sidebar. Also it could seem a bit off since there's not really any spacing between anything. This was one of the biggest screw-ups I've seen this forum do. 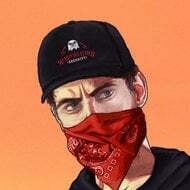 This new theme looks hideous, the font is worse than Comic Sans, the layout is too clustered to function well, and this new circle around the profile pic is terrible introduction. 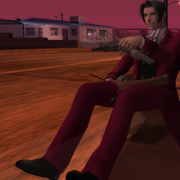 Also, what happened to the default Claude profile pic? I thought that was staying? People will complain about IPB4, that's for sure, I did the same the first time I used it on another forum, but then I got used to it and it's decent. It's not as bad as people make it sound. EDIT: The theme itself is not bad, similar to what we had before anyway so it doesn't feel too different. I do agree the banner could be a bit larger though. My opinions: I'd like to be able to see whos viewing the topics and usernames below avatars. Starting to feel a bit better now, any chance of a dark theme? edit: Also for the side bar, have the dots for ALL sub categories and only light up the ones with new posts, having dots JUST for new posts makes the alignment look very amateur. The wait was worth it, I love the new theme and I certainly appreciate the push notifications, since I started to follow posts I only thought about it, the minimalist style in my opinion I have nothing against it, however I just wish the names were under the image that is a bit strange in my opinion. Also, could you put the emojis of the forum above the others? They are part of the essence of the forum! You can view (who's viewing what) by going to your account. 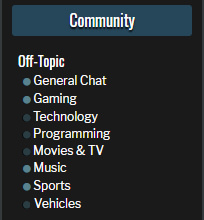 Where is the "My Content" Section like the old Forums had, So I can see all the topics, I have posted in? 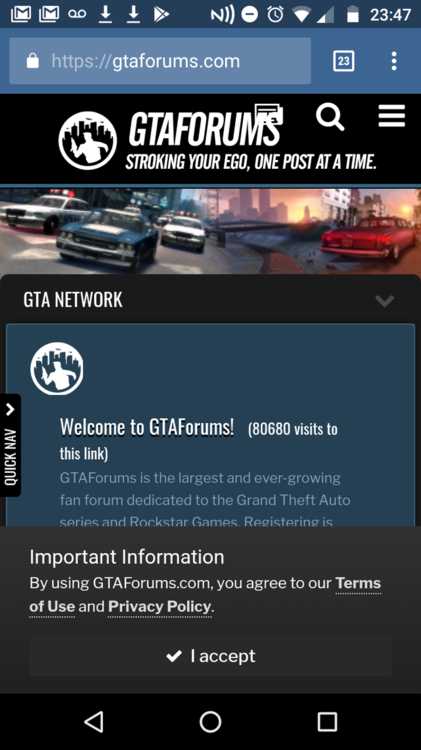 The GTAFORUMS font (and the tagline below it) just doesn't work for me. Rest of it seems generally neat. Quicknav tab could be larger, just a little bit. I'm not a fan of the slight delay on the Like button but it's a very minor issue. In your account. Right corner of your screen. Quotes don't work for me. I like it but it definitely needs improvements. The ridiculous subtitle/slogan on the navigation bar is unnecessary and sounds awful, remove it and keep the navigation bar compact, the only reason you need to even shrink the navigation bar is because of that slogan. 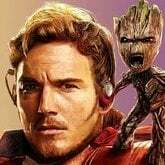 The header image of the site needs to be updated and blend in better, right now it just cuts off. The top of topics where it shows the topic name and other stuff is spaced way too much and the black doesn't blend with the blue part of the posts at all. It looks odd. The spacing between the topics and pinned topics in forums is way too much as well, the black also doesn't blend well with the blue here either. Names and everything else should be beneath avatars, not over them. Allow us to see what our profile looks like to visitors. Allow us to remove our header image on profiles. Fonts for miscellaneous things are way too big. Stuff at the bottom of the home page are now huge because of it like the Member List and Member Statistics, it should be a lot smaller. From the looks of it, the option to mark the entire forum as read has been removed, please add it back. A dark theme would be welcome. EDIT: A PWA app would be nice too. EDIT2: Also, like a lot of sites these days (looking at you new Reddit UI), it's really difficult to tell whether something is clickable or not. For example, in this GIF below everything I hover the mouse over is clickable, but I get no indication from the forum that they're individual links except for the User link. All the forum tells me is that the Mod Showroom forum is clickable, but none of the other links there highlight, change colour, etc.. which normally tells the user that they're separate links. Like I said, this is becoming a trend and I think it's bad design. EDIT3: Forums is bugging out and I can't embed the gif, so just click the link to see what I mean. EDIT4: We can no longer see who's viewing posts, should also be added back. The text editor seems to be really buggy in Edge too, not sure if that's a universal issue.